Scroll through the album to see more images from this year's M1 Ball. Photos c/o Gittings and Dana Driensky. This year's M1 Ball benefiting Mercury One was led by Event Chairs D’Andra Simmons Lock and her husband, Jeremy Lock, Honorary Chairs Francie Moody-Dahlberg and her husband, Kevin Dahlberg, and Dee Simmons as Underwriting Chair. The evening was produced by Hamilton Sneed of HAS Events and featured a cocktail reception, savory three-course seated dinner, live and silent auctions of priceless experiences and one-of-a-kind treats, followed by an intimate acoustic performance by country favorites Mark Collie and Darryl Worley. 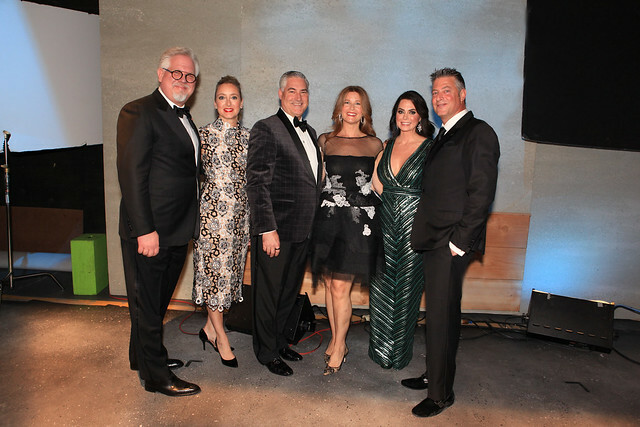 Mercury One Founders Tania and Glenn Beck greeted guests including Sara Gonzales, Hilary Kennedy Hoferer and Jeff Hoferer, Jeffy Fisher, Jaque and Pat Gray, Michael Grishman, Dawn and Travis Simpson, Joy Villa, and Paul Vinyard. Special thanks was given to Mercedes-Benz of Plano for the raffle prize of a Mercedes-Benz 2018 CLA250. Event sponsors included: Auction sponsor Kickstart Kids, Valet & Charging Station sponsor Babe's, Invitation sponsor, John B. Pellegrino and a very special gift bag from sponsors D'Andra and Jeremy, along with Hard Night Good Morning and John B. Pellegrino. Mercury Spotlight sponsors were Bank of America, CitiImpact Ministries, Lisa & Clay Cooley, Doug Lawson & Associates, Locke Lord LLP, Dee Simmons and Dawn & Travis Simpson. Beverage sponsors were Rodney Strong Vineyards, ROXOR Artisan Gin, TX Whiskey, Sweet Beat Vodka and Tequila Sheela. Media sponsors were PaperCity, The Park Cities News/The Waters Family, Downtown Business News, OhSoCynthia. This soiree took place at the Mercury Studios in Las Colinas, with a very special VIP party inside Stage 19 (named after Orson Wells) giving lucky ticket holders an inside peek into the behind-the-scenes set-up inside the studios themselves. These are the same studios where bigger-than-life sized robots from the 2013 live-production and movie Man In The Moon welcome guests today and films such as RoboCop, JFK, and Problem Child were all filmed as well as shows like Walker, Texas Ranger and Barney. Stage 19, named after Orson Welles’ Sound Stage at Universal, also includes the Oval Office set from the movie JFK, the bench from Forrest Gump. Setting the scene were ten-foot tall photographs from a humanitarian mission in Iraq last fall and a special exhibit of pop culture icons and pieces of historical, political and spiritual items reflecting America and its history.